Founded in 1929 by the Claretian Missionaries, the National Shrine of St. Jude and the St. Jude League bring together hundreds of thousands of devotees in a community of prayer and hope. The faithful around the world send the Claretians their stories of hope and their special intentions. 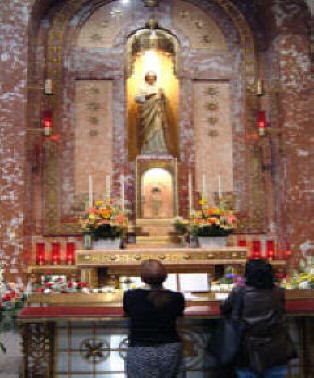 They also flock to Solemn Novenas to St. Jude, which take place five times each year at the National Shrine of St. Jude on Chicago’s South Side. 3200 E. 91st Street in Chicago.